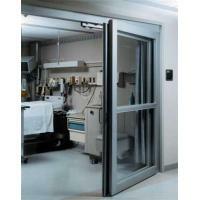 The 5200 Series All Glass Sliding Door System offers sleek attractive lines for up scale door automation while providing the same intelligent, durable, drive system as the 5100 Series Sliding Door System. 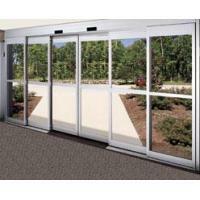 All glass door panels provide for total visibility through tempered glass that compliments any store front design. 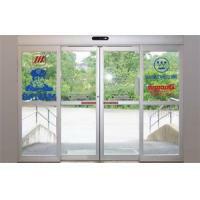 Sidelite protection - Additional sensors located above the opening path of the door will slow the opening if a person or object will inhibit the door opening normally. Emergency battery: in the case of power failure, the optional battery back-up device will perform flawlessly (including all sensing devices) for hours. 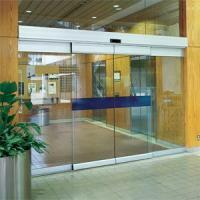 When the battery's capacity is low, the door slides to a pre-determined position (open, shut or locked). In the case of continued power failure, the shut and locked door can still be opened automatically by a key-operated impulse. Electro-mechanical locking device concealed in the operator casing. Systems for locking device surveillance and alarm. Night control with time switch, key-operated impulse, electronic encoding switch or building services control system. Interlock control: Continuous interlock control or only selectable by external contact (key-operated contact or building services control system). Communication module for data exchange with a higher-level building services control system.